Dr. Louai Salaita joined the Elements Dental team in 2017 as the first prosthodontist in Johnstown, Ohio. This makes Elements Dental one of the few practices in central Ohio with a prosthodontist on staff. 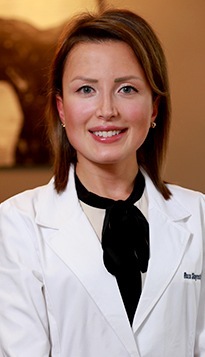 A prosthodontist is a dentist who undergoes an additional three years of specialized training after dental school, focusing on the customized restoration and replacement of teeth. Dr. Salaita studied molecular genetics at the University of Kentucky and then graduated with a Master of Science degree in Physiology from the Univeristy of Arizona. Dr. Salaita comes from a family of physicians but became his family's first dental professional when he graduated with honors from West Virginia University School of Dentistry. 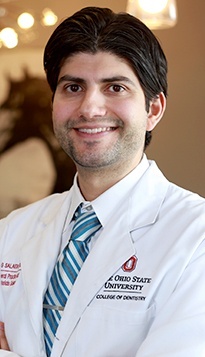 Following dental school, Dr. Salaita completed his specialty training in prosthodontics at The Ohio State University, where he trained with internationally reowned dentists Dr. Wayne Campagni and Dr. Edwin McGlumphy. 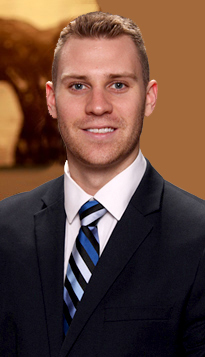 Dr. Salaita had the honor of being named Chief Resident in his third year of training. Dr. Salaita was then appointed Clinical Instructor at The Ohio State University School of Dentistry. 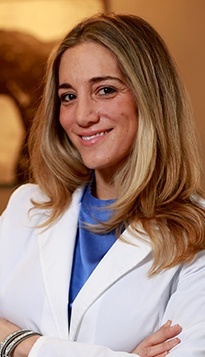 Dr. Salaita is an instructor of continuing education courses for dentists both locally and across the nation. Dr. Salaita's research in dental implants has been published in prestigious journals, including the world's most read journal in prosthodontics, The Journal of Prosthetic Dentistry. 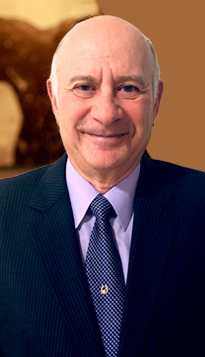 Clinically, Dr. Salaita's passions include cosmetic dentistry, implant dentistry, implant dentures and smile makeovers. As a self-admitted dental-phobe, his philosophy has always been to create personalized treatment plans that fit the specific needs of each patient in the most gentle and caring way possible. Dr. Salaita lives in Westerville with his wife Dr. Rachelle Salaita, an orthodontist practicing in Westerville, and the apple of his eye, his beatiful daughter, Evelyn.